The momentum we have had in the Crochet Cancer Challenge is electric!!! I love seeing all your posts every day, with amazing handmade hats to donate. What an amazing group of talented crocheters we have that are working so hard to help others. If this is the first you have heard about it, please click the following link for more info: HERE. 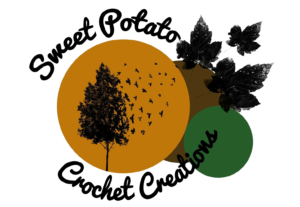 Carol from Sweet Potato Crochet Creations has been helping with the Cancer Challenge for a few years. She always comes up with a fabulous hat design. 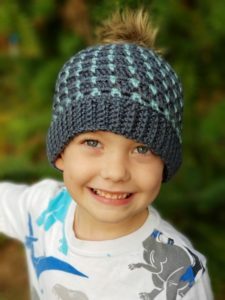 This year she designed the Lennox Beanie, it is wonderful and can be made for boys or girls. 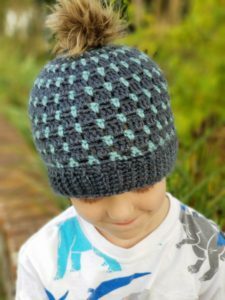 The Lennox Beanie pattern comes in sizes from toddler up to adult and is made using worsted weight yarn. Grab your copy of the Lennox Beanie on Ravelry: HERE. This code will be good on the Lennox Beanie pattern through Sunday October 28, 2018 and will allow you to get the pattern for FREE, but remember…. I would like to design a hat for next year’s challenge, I know I missed out this year, but I’d love to help!